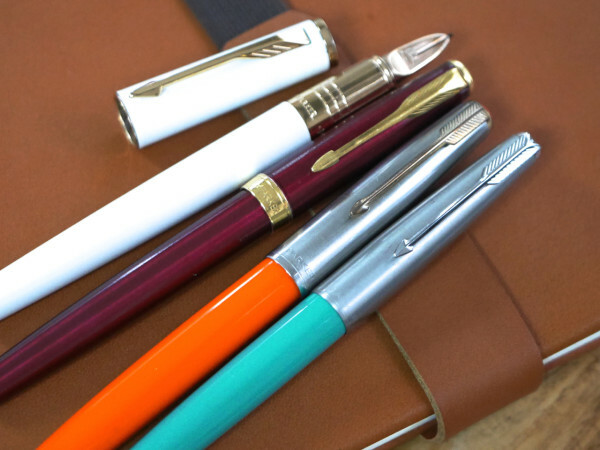 For the next company that wants to revive a beloved pen brand. – Leigh Reyes. My Life As a Verb. 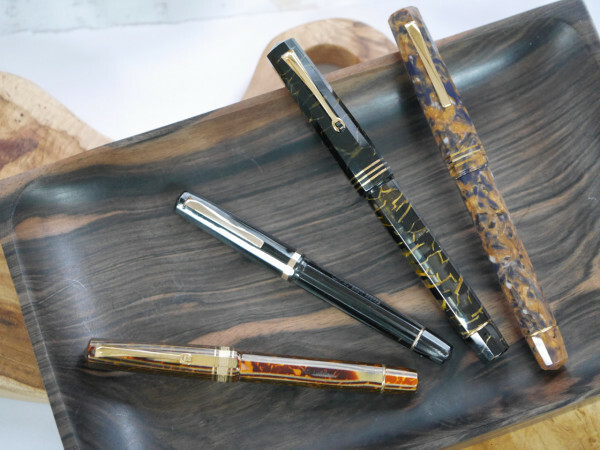 For the next company that wants to revive a beloved pen brand. I’ve worked with brands for 25 years. That’s 52,000 hours of figuring out how to make brands engaging, persuasive, convincing – and ultimately, worth a place in someone’s life. A brand is a collective of expectations, usually wrapped in a name and a logo. Some expectations are cast in stone; others are more fluid. Much of that has to do with how beloved a brand is, and how much it’s invested in a particular image or personality. The residual of that investment is called “brand equity.” Giant brands rarely tinker with their core offer. Say “New Coke” to senior marketers and everyone nods in sympathy. The new Esterbrook has caused consternation among pen people. To me, it is an emerging story of the power of a brand, even after its original owners have gone, because of the meaning it holds for the people who love it. 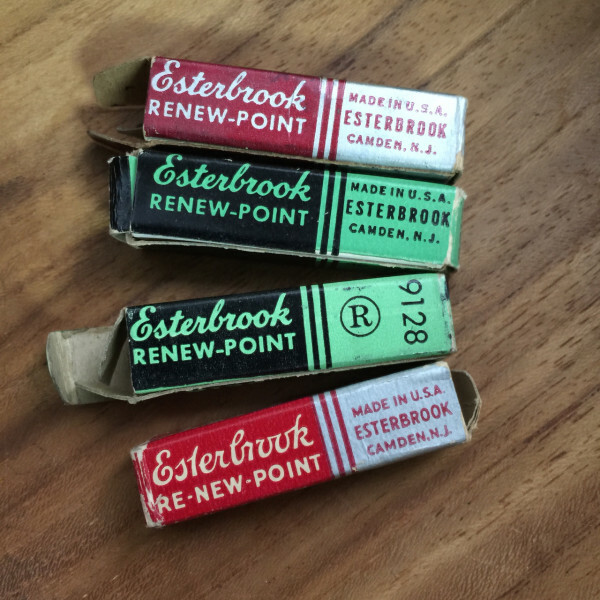 There are clues to the brand equity in Esterbrook’s old ads, catalogs and display cases. A brand professional would look to these first. 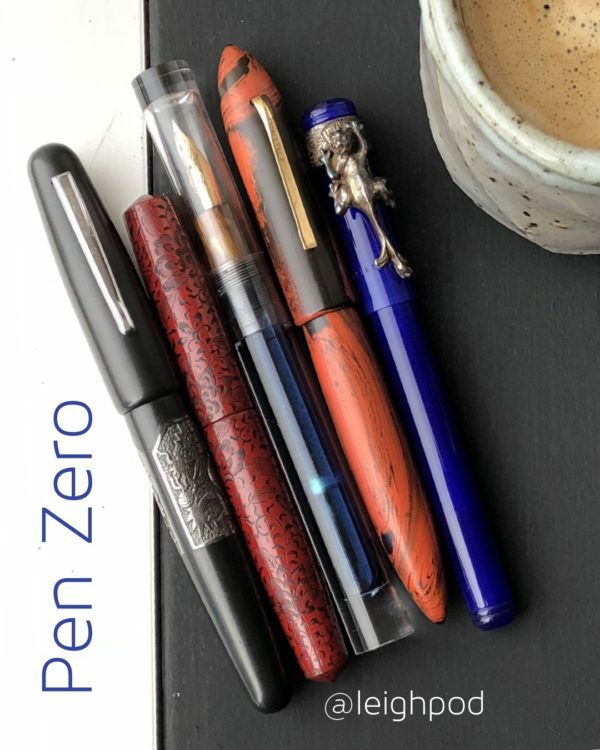 “The right point for the way you write,” and “Instantly replaceable by the user” immediately catch the eye. Disregarding these in reviving the brand invites dissonance. And dissonance is bad marketing. 1) Be the brand’s biggest fan. Or hire the brand’s biggest fan. Modern marketers, in the social network age, know better than to not involve their brands’ most ardent fans. In fact, fan marketing can be a separate function within a marketing department. Convince a brand’s advocates, and they take care of much of the heavy lifting (e.g. word of mouth, bringing other people into the brand) for the marketer. Don’t do it just for the money – people will feel it. 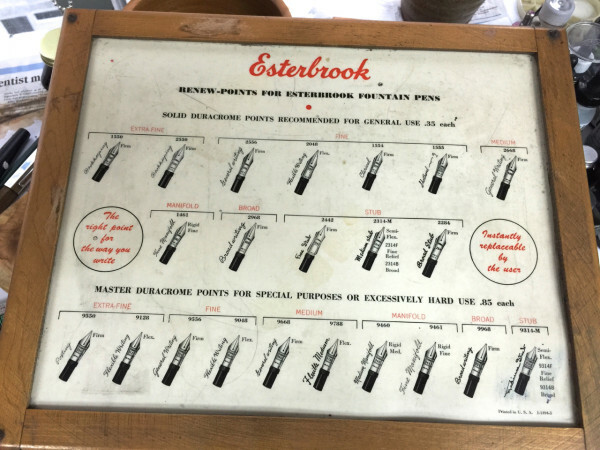 Of course Syd Saperstein (aka “the Wahlnut”) relaunched Wahl-Eversharp. Authenticity doesn’t mean slavishly copying from the archives. People fall in love with a brand for a reason. Design, color, attitude, performance… these all play into the connection that people have with a brand. 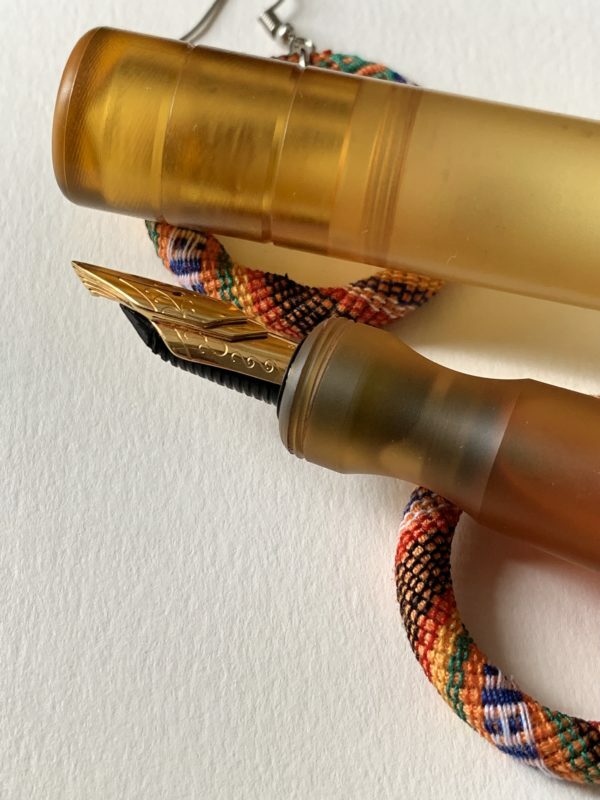 Modern Skyline nib – look at that pattern! 4) A brand that’s “many things to many people” is much more forgiving. This doesn’t mean the brand equity is weak; it just means it’s more flexible, or the brand meaning isn’t tied into the product form. 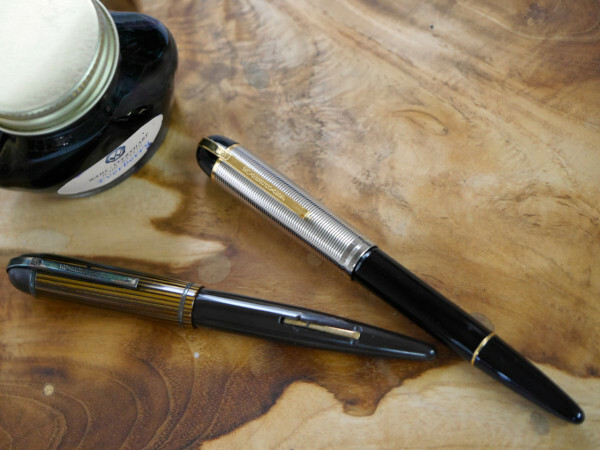 Montblanc was a luxury writing instrument brand, but no longer. 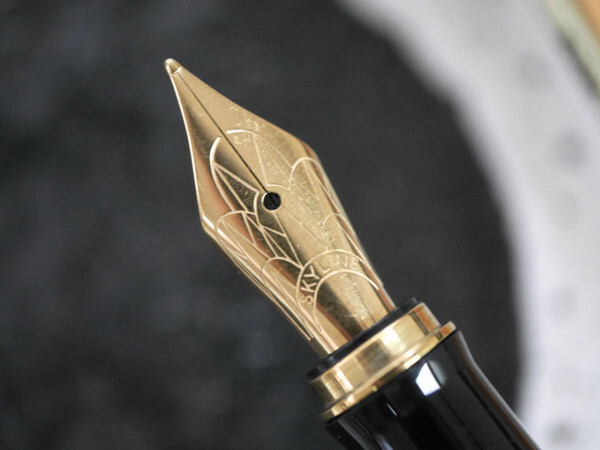 Its owners have seen that Montblanc is about the pinnacle of luxury and performance, regardless of product. So yes, horology. Yes, fragrance. Yes, jewelry. 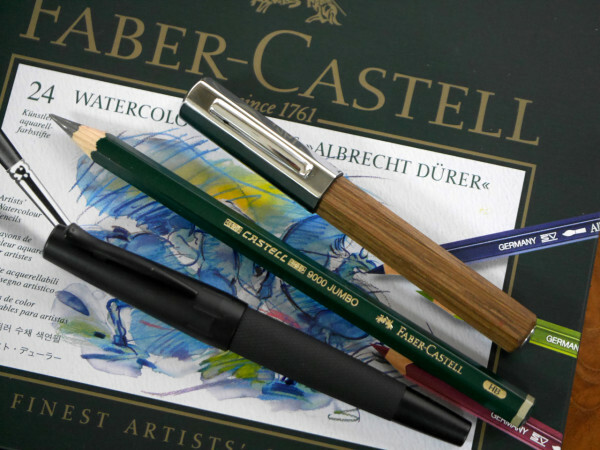 The Faber-Castell brand spans school pencils to Graf von Faber-Castell, so we don’t see angry protests against the E-motion. But even a cursory glance indicates the Ondoro is closer to the brand’s sweet spot. 5) In many cases, heritage is the best leverage. 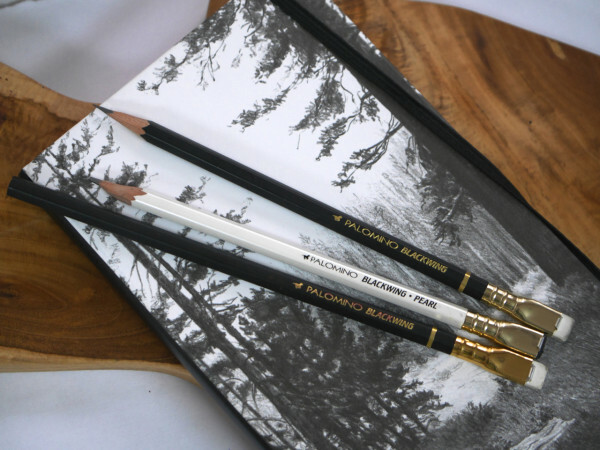 Brands of long standing are better value for money. It’s neither nostalgia nor escapism; it is true assessment of value, proven in the marketplace. 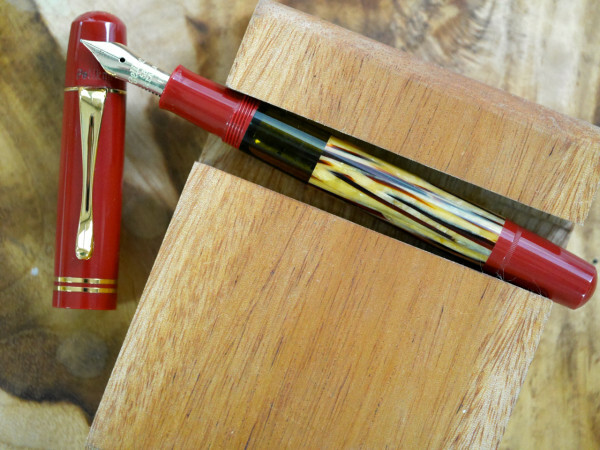 Pelikan has had a string of successes in its M101N reissues, the most recent of which is the Souveran M101N in red tortoiseshell. 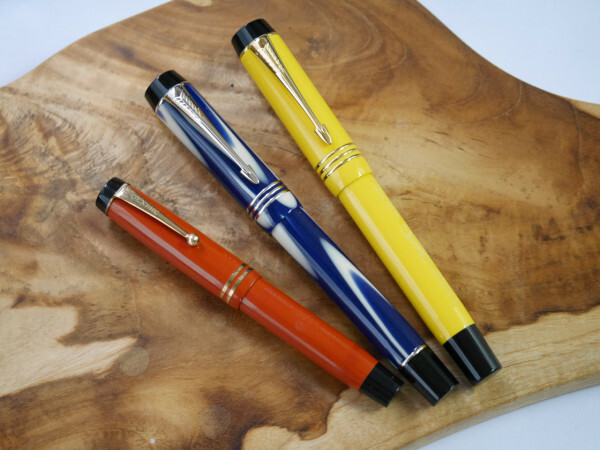 The Parker Duofold True Blue and Mandarin retain their worth many years after their release. 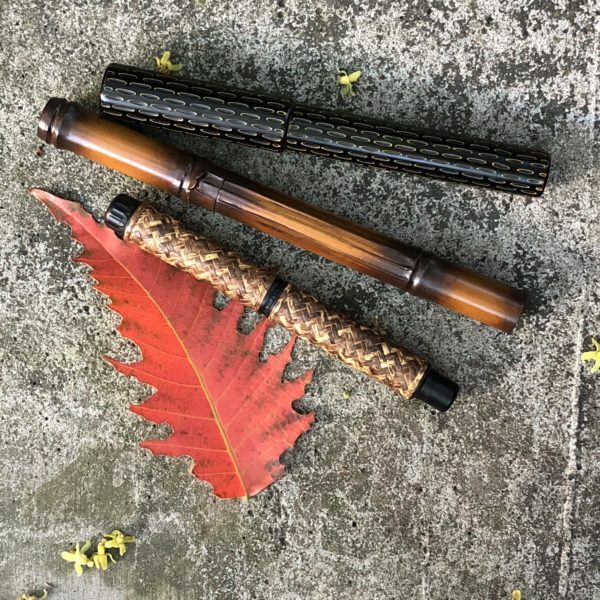 And certainly Omas has experienced a resurgence with its vintage editions in highly desirable celluloid patterns. Love your brand first, and others will follow.